iWe strongly believes that on the community-wide level, there is an untapped passion and drive in the movement for gender balance in the Industry and we are committed to include ALL voices, hearts and hands to achieve the gender balance we all envision. iWe has launched the iWe Coalition to join the necessary masses to create massive change.It is historically shown that no social change movement has found significant success UNTIL the masses came together to demand change. Exhilarated and inspired by the training we received from Judy Hertzand the Midwest Academy at the iWe Community Organizing Training Day on April 9, 2016, the iWe Coaltion was born. We came out of the training clearer, stronger and empowered with knowledge that can effectively guide this Coalition to move us all forward to make the impact we really want to make. Sweeping social change cannot happen until the community steps in together. The issue of gender imbalance in the Entertainment Industry is deeply rooted. To create massive change the masses need to come together powerfully and effectively. True to its commitment to include and empower, the iWe Coalition is shaped by and powerful because of its membership. The iWe Coalition is a body of people (MEMBERSHIP) who take collective ACTION one CAMPAIGN for change at a time. TheseCAMPAIGNS are specifically crafted from issue campaign strategies and aim to create significant change in the gender balance movement as well as empower the grassroots membership. MEMBERSHIP – The membership consists of EVERYONE – organizations and individuals – who want to be a part of creating powerful change for gender balance in the Industry. 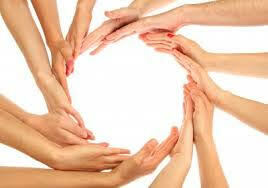 STEERING COMMITTEE – Each CAMPAIGN is shaped by a steering committee. The steering committee consists of 15 people from the Membership who have the drive, bandwidth and passion to focus on shaping the current CAMPAIGN. The steering committee changes with every CAMPAIGN. CORE COMMITTEE – Each CAMPAIGN is guided by a core committee. The core committee consists of 5-8 people from the Membership. They are the most hands on during the CAMPAIGN. The core committee changes with every CAMPAIGN. ALLIES – iWe Coalition Allies are organizations and people who lend their name/support, etc to help further the CAMPAIGN. They may not be as hands on as the Steering Committee or Core Committee, but are available to be called on for specific needs. To take action together to achieve gender parity in the entertainment industry. We are not here to duplicate other’s work, but to support and augment each other’s efforts. We recognize and harness the Power in numbers. We are a Grassroots, bottom-up Coalition.